At the age of 22 Andy left his family, home and job as an assistant manager of a grocery store. From the mile high city of Colorado to the golden hills of California he journeyed on a quest to fill a void he had deep down inside. Working his way up the ladder in the grocery business, he thought with all of his experience he would find a job right away. To Andy’s surprise he found that he would need to start all over and work his way back up the ladder again. Seven years down the drain. As money started getting a little low, he had to take the first thing that fell on his plate. A carpet cleaning firm that cleaned at the Apartment complex where he lived, was looking for some help and offered him a job. Andy found out quickly what real work was. His boss handed him the cleaning wand to clean a small room in an apartment. After cleaning about half of the room, he started feeling weak and didn’t know if he would continue to do this type of physical labor. But as time went on, Andy found himself getting stronger and really enjoying making people very happy. He says he enjoys exceeding his client’s expectations, and it is fun having a job which enables him to make people happy and make a real difference. He hasn’t only made a difference in his client’s carpets, but many times he has made a difference in their lives. You see, one day shortly after Andy started cleaning carpets he found just the thing he needed to fill that empty void he had deep down in his soul. That emptiness he had could only be filled by one thing. So he gave his life to the Lord Jesus Christ. Jesus came in his heart and did some cleaning also. And from that day forward God has continued to exceed Andy’s expectations. 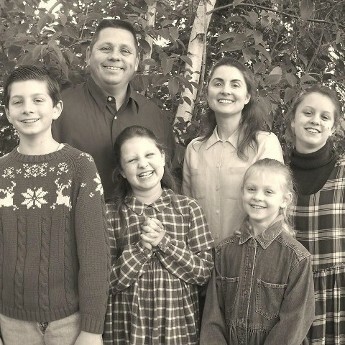 God has blessed him with a beautiful wife named Glenda, (happily married over 20 years), four beautiful children, Chelsea, Connor, Eva, and Grace. After Andy worked with a few different cleaning companies in town, he wondered if he should start his own cleaning firm or not. He prayed that if it was God’s will, that he would work it all out, and if not, that would be fine also. Well, one thing lead to another, and Andy sold his much-loved truck and bought some old carpet cleaning equipment. At that time, Andy worked for a wonderful man that helped him get educated in his field by sending him to schools here and there. He even helped him start his own business and let him do his own work on the side. Then came the time when Andy’s boss kicked him out of the nest and he had to start flying on his own. Andy applied the best parts he saw in the man’s business for which he had worked, and put them all together to start Gallagher’s Carpet Care. His philosophy was and is to always give you more than what you have paid for. He has said “if the Bible says it is good to go the extra mile ~ why not make it two?” Gallagher’s Carpet Care was started over 20 years ago by Andy and he is still finding ways to improve his service. The national statistics show in the carpet cleaning industry, that 31% to 32% of all Carpet Cleaning Companies go out of business every single year. WOW! Now you know why we see so many carpet cleaners every year, about 1/3 of them are new and 1/3 are already out of business. Thanks be to God, Gallagher’s Carpet Care is still in business and is planning to stay in business a long time. Most of Andy’s clients own upper end homes, and all of his jobs are repeat clients or a referral from an existing client. Andy’s hobbies are: 1. Working with people and leading them to Christ. 2. Spending time with his wife Glenda and being a good Daddy to his four children. 3. Playing the banjo. His wife and oldest daughter are both harpists and his son and two youngest daughters play the piano. Andy spends much time studying the Bible. He teaches a class of 11-13 year old children at The Church of God. He also was also used to answer questions for the California Life section, in the Sacramento Bee’s Saturday paper. Oh yes, I don’t want to forget all the time he spends running one of the best carpet and upholstery cleaning companies in the US. 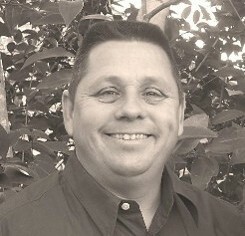 Andy Gallagher is the owner of GALLAGHER'S CARPET CARE. They have been cleaning carpeting in the Sacramento area for over 25 years. During that time they have completed instructional courses in a variety of carpet cleaning areas. They are: Carpet Cleaning, Upholstery Cleaning, Odor Control, Water Damage Restoration, and Carpet Color Repair. These certifications are received by attending classes and completion of written exams. They focus on consumer education and have dedicated their company to providing the consumer with the latest information, so the consumer can make an educated decision on choosing a carpet cleaning company. Gallagher's Carpet Care are always ready to assist the media in providing protection for consumers. They are part of a nationwide campaign to eliminate the bait and switch Carpet Cleaning Companies that prey on the uneducated. Call us today for an APPOINTMENT at 916-300-9010.